They continue coming. Up the dirt path as I head down. Monks in red gowns. Old men and women in their simple clothes, propped by walking sticks. Wizened faces and old gowns. 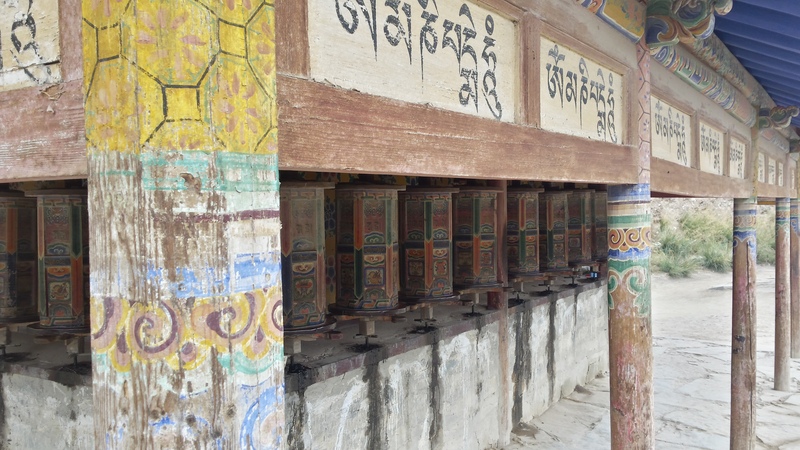 They have come a long way to walk this path, walk along the prayer wheel wall, and spin the wheels, symbolizing countless repetitions of prayers. 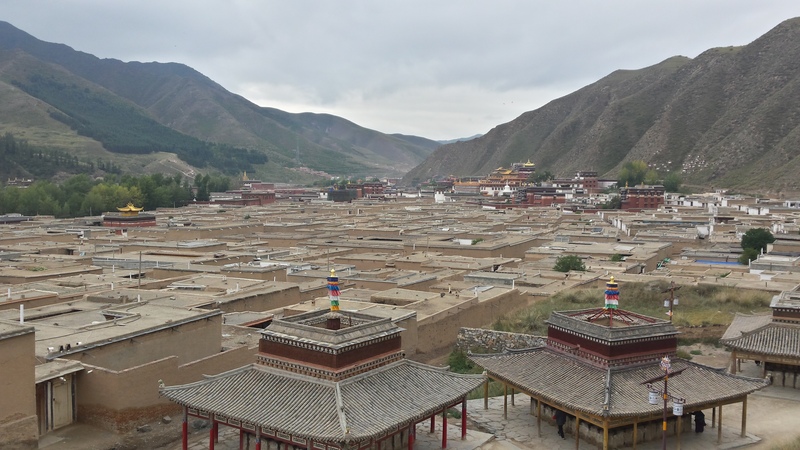 The Labrang monastery. The road continued, past the factories and the holiday yurt colonies. The guesthouses are perched directly opposite the monastery – on the road with its constant symphony of the honking of horns. 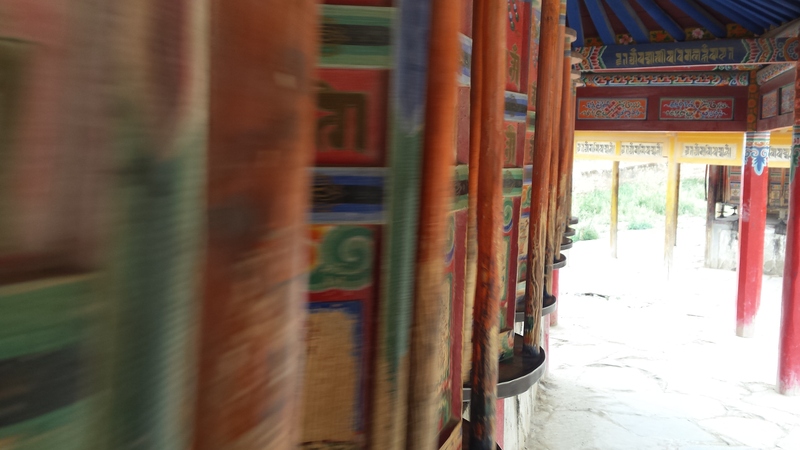 Directly behind the pilgrims spin the prayer wheels. Pilgrims that have not been swept up in the materialistic tsunami, they seem from a different existence. In moments of quiet, they can hear the groaning of the wheels as their heavy weight rotates inside the prayer-hut. Then a cacophony of horns shatters the pathos. Angry and impatient drivers press to move forward. ‘I am here. I’m in a hurry. I am more important. Let me through!’ And one is returned to the ‘real’ world. 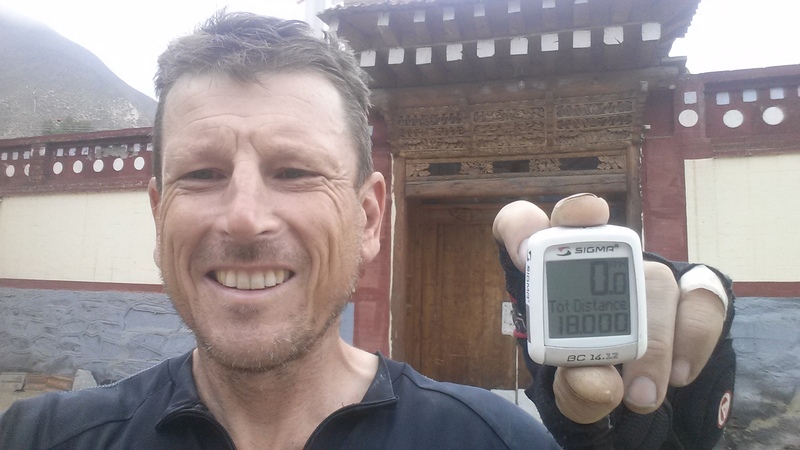 Today I passed 18000km. Tomorrow I rest.